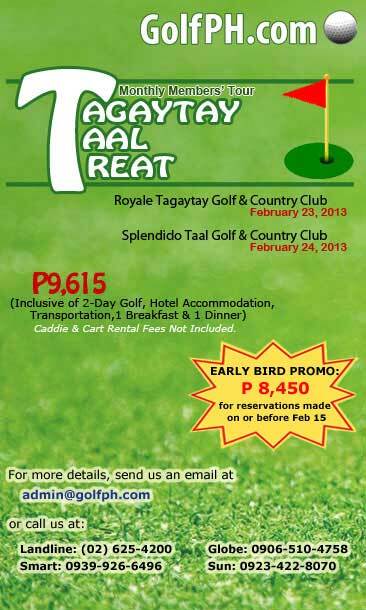 GolfPH cordially invites you to take part in our monthly members’ tour dubbed as “Tagaytay-Taal Treat” on February 23 & 24, 2013. Meet with your fellow GolfPH members and enjoy two rounds of golf set at the outstanding sceneries and cooler climate of Tagaytay City. For only P9,615, you get to experience the wonder of Royale Tagaytay Golf Club and have the opportunity to overcome the challenging terrains of Splendido Taal Golf Course. The fee includes green fees (exclusive of cart and caddie), breakfast, a dinner buffet, hotel accommodation and transportation. However, if you choose to be one of the early birds and reserve on or before February 15, 2013, you get a discounted rate of P8,450. 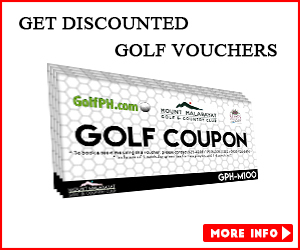 Amazing prizes and surprises await loyal GolfPH Members. 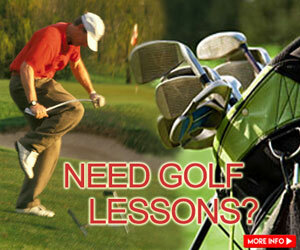 Grab this chance and treat yourself to a weekend golf getaway. Limited slots are available. Hurry! 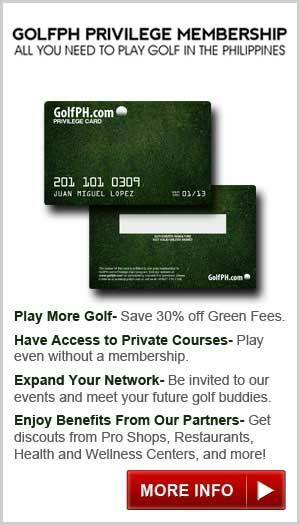 Contact us now and be part of this exciting and exclusive GolfPH event.